Watch: Independent Mike Bloomberg endorses Democrat Hillary Clinton as the United States' next president. When Mike Bloomberg took to the stage at the Democratic National Convention (DNC), everyone was listening. As a member of the Independent party, billionaire and former New York City Mayor Bloomberg is a rarity on the stage of the DNC. Interrupted by thunderous applause, Bloomberg, not a particularly popular mayor, explained his endorsement: "When the Founding Fathers arrived here in Philadelphia to forge a new nation, they didn't come as Democrats or Republicans or to nominate a presidential candidate. They came as patriots who feared party politics, and I know how they felt. “I've been a Democrat. I've been a Republican. And I eventually became an independent because I don’t believe that either party has a monopoly on good ideas or strong leadership." He continued, " I believe it’s the duty of all American citizens to make our voices heard by voting in this election. And if you’re not yet registered to vote, go online and do it now. This is just too important to sit out." "Now, we’ve heard of needing a leader who understands business. I couldn’t agree more. I’ve built a business. And I didn’t start it with a million dollar check from my father," he jibed at Trump's early booster. “Because of my success in the private sector, I had the chance to run America’s largest city for 12 years, governing in the wake of its greatest tragedy. Today, as an independent, an entrepreneur, and a former mayor, I believe we need a president who is a problem-solver, not a bomb-thrower. Someone who can bring members of Congress together to get big things done." 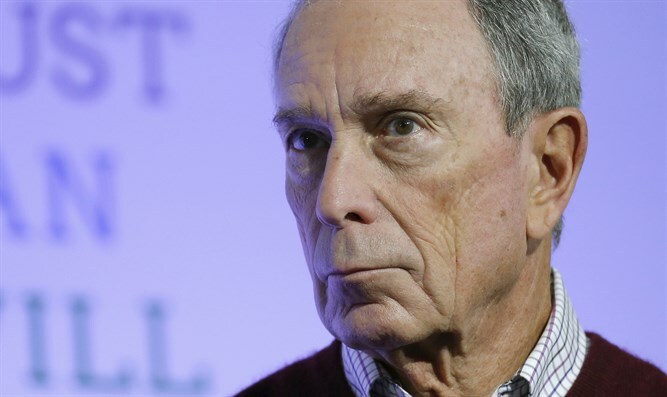 Bloomberg continued on his Trump-bash: "Given my background, I’ve often encouraged business leaders to run for office, because many of them share that same pragmatic approach to building consensus. But not all." “Most of us who have created a business know that we're only as good as the way our employees, clients, and partners view us. Most of us don’t pretend that we’re smart enough to make every big decision by ourselves. And most of us who have our names on the door, know that we are only as good as our word. But not Donald Trump." “Throughout his career, Trump has left behind a well-documented record of bankruptcies and thousands of lawsuits and angry stockholders and contractors who feel cheated and disillusioned customers who feel they have been ripped off. Trump wants to run the nation like he’s run his business? God help us. “I’m a New Yorker, and I know a con when I see one. Trump says he’ll punish manufacturers that move to Mexico or China, but the clothes he sells are made overseas in low-wage factories. He says he wants to put Americans back to work, but he games the U.S. visa system so he can hire temporary foreign workers at low wages. He says he wants to deport 11 million undocumented people, but he seems to have no problem in hiring them. What'd I miss here?" As he wrapped up his speech, the former mayor took a softer tone: "America is the greatest country on Earth – and when people vote with their feet, they come here. The presidency of the United States is the most powerful office in the world. So I say to my fellow independents: Your vote matters now. Your vote will determine the future of your job, your business, and our future together as a country. “To me, this election is not a choice between a Democrat and a Republican. It is a choice between who is better to lead our country right now – better for our economy, better for our security, better for our freedom, and better for our future."